We are writing to you in urgent hopes of gaining your attention and support against an issue that is costing over hundred of thousands of innocent lives a year for mere human profit and unnecessary products within Canada. This issue is the Canada's Commercial Seal Hunt, a "harvest" in which innocent seal species and their pups are being inhumanely bludgeoned and shot in the head for such production and distribution of seal oil, fur, aphrodisiacs and more --- and it is this form of treatment and brutal process that we are in dire need of your support and action to bring such cruelty to an end once and for all. Over the years countless organizations and even some political figures within the Canadian Government have attempted with much effort to blind society through their statements and presentations that what is happening to defenseless seals is something necessary and once again "humane", as they constantly put it --- trying with much desperation to lead individuals to believe that animal organizations and animal angels are merely misinformed or bringing forth the stretching of truth in order to persuade and manipulate those in order to shut down this, what some call an "imperative industry to Canada!" --- but in all due respect, the countless information and proof of the cruelty and inhumanity that goes hand in hand with this industry speaks for itself. We acknowledge the fact that sealing had been a huge industry within Canada, but as the years are progressing, the reality of such a hunt is coming further and further into the light -- leading not only much outrage and concern worldwide, but also decreasing and almost perishing market for such products, leading to continuous bans from other countries in which has been brought into effect due to the nature of this hunt. So with these pull-away from the commercial seal hunt, the ultimate question remains.... Do you believe that the Canada Commercial Seal Hunt is worth investing taxpayers hard-earned dollars into it??? 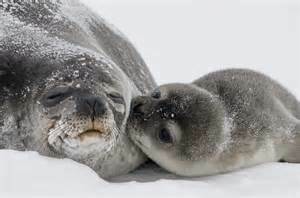 We are requesting that you take the opportunity to take a first-hand observation at the imperative role that ending the Canada Commercial Seal Hunt would be, and Support the efforts of the countless voices and organizations trying tirelessly to make a difference in this world we live in and future generations to come. Your Attention and Support Is Needed For A Better Tomorrow.